Patrick requested that Texas Attorney General Ken Paxton issue an opinion on guns in church. The lieutenant governor said he hopes more churches will know they have the option to have guns in their buildings. Following the mass shooting at a Baptist church in Sutherland Springs last month, Texas Attorney General Ken Paxton said arming congregants could prevent similar tragedies in the future. Lt. Gov. Dan Patrick thinks so, too, and wants Paxton to let more churches know that is an option. Patrick requested Friday that Paxton issue an opinion clarifying whether congregants can bring guns to church and whether churches are exempt from state fees for creating volunteer security teams. Patrick said in the request that he hoped Paxton could inform more churches "what legal options they have to improve their security." Patrick made it clear in his letter to the attorney general that he feels state law allows congregants to bring guns to church unless a sign at the door says otherwise. He also wrote that a recently passed law exempts churches from fees other institutions must pay to form their own security forces. The law, which went into effect in September, allows churches to have armed volunteer security teams without having to pay certain state fees to license the volunteers — fees that the law's authors said would be too much of a burden for smaller churches like the one in Sutherland Springs. State Rep. Matt Rinaldi, R-Irving, the measure's author, said in early November that many churches may not know of the change in law. 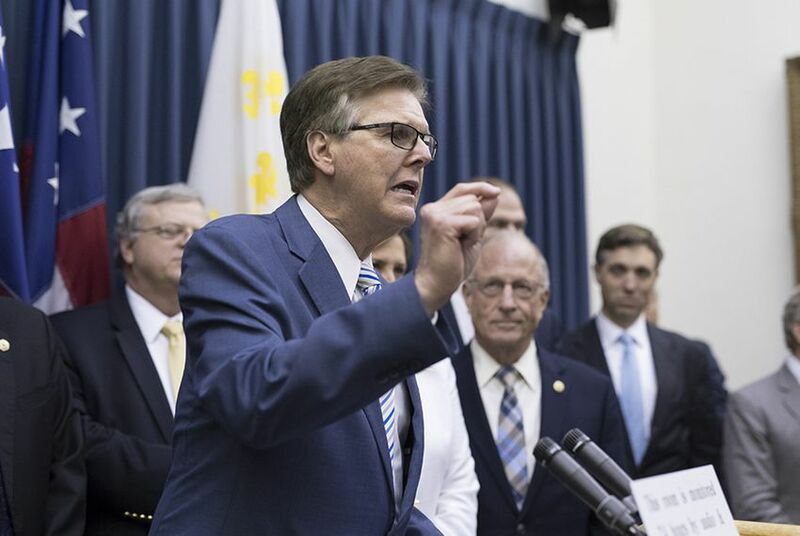 "I know many are thankful for the Texan who stopped this attack through the exercise of his Second Amendment rights, but I believe our state laws provide more protection than many Texans realize," Patrick said in a news release. "That's why I asked the attorney general to clarify those laws for all Texans." Will Texas massacre finally push the military to improve its criminal reporting system?